The summer’s nearly over and so you thought you’d missed your chance to grow your own food? Well, you’d be wrong! 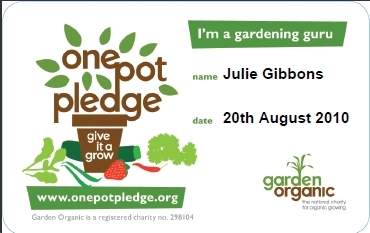 I just signed up as a Gardening Guru with the One Pot Pledge® campaign. Part of being a Gardening Guru is to get more people to make the One Pot Pledge® - and have a go at growing their own food for the first time. Organic gardening is primarily about the health of the soil – and therefore the plants, insects, animals, and people – but this new campaign from the national charity for organic growing Garden Organic, is to sign up 30,000 people who will pledge to grow their own food for the first time – in a pot! You can still sow seeds for the autumn and winter months. I’ve just ordered this Autumn Salads kit from the Seed Pantry, and used the code: OnePotPledge for a 5% discount and a further 5% donation to Garden Organic for every sale. Indoor growing is really very easy, and my favourite indoor crop is sprouting seeds. Sprouting seeds come in all sorts of varieties; alfalfa, mung beans, sugar snap peas and way more. I’ve just started off a batch of beet sprouts and broccoli sprouts. They’re still so tiny and my camera can’t take a good macro so I’ve used a shot of 2 day old sprouting broccoli seeds from vigilant20 on Flickr. Sprouts make healthy and nutritious additions to sandwiches, salads, stir fries and more. 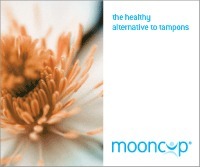 And you can grow them all year round! Check out Living Food of St Ives for some great organic sprouting seeds & sprouting starter kits. Join the campaign today and leave me a comment to let me know when you’ve signed up! Only 3 people to make the pledge and I’ll reach my Gardening Guru quota. I know you want to! I don’t get paid any money by Garden Organic, Seed Pantry or The Living Food of St Ives. Signing up now Julie – but do you have a Gardening Guru membership number I can enter, or doesn’t it matter? Yay! Great news Val. Thanks ever so MY Gardening Guru number is 208. This is such a fab idea and a great way of introducing people to the wonderful world of growing their own food. We grow our own sprouts – Zoe loves them. We had some lovely raspberries this year too. Last year we got potatoes, strawberries and tomatoes, but the mice ate the peas! and the slugs ate the broccoli LOL I love growing herbs and they are so easy. This year we haven’t needed to grow our own as all our neighbours keep giving us their surplus. Plus gorgeous free range eggs. We even get bags of peat from our friends down the road. You’re lucky to live in the countryside Heather… We also have a neighbour to supply us with eggs. All done and dusted then, thanks. I’m going to sow some herbs today! 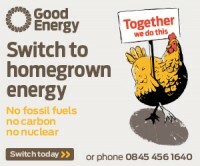 And will try some sprouting too – we used to do it years ago (in the 70s!) but just got out of the way of it ) I remember we used to use some special utensil, what do you use? Ah, back in the day, eh? We have a couple of sets of sprouting trays. I use one set for leafy sprouts such as alfalfa,clover, broccoli etc and the other set for the bulkier stuff such as chick peas, snow peas, mung beans etc. We’ve usually got 4 trays on the go at any time….